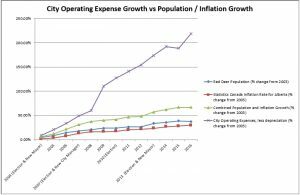 From 2003 to 2016, the population of Red Deer increased from 72,691 to about 99,832, an increase of 37.34%. During this same period, Alberta’s inflation rate increased 29.5%. 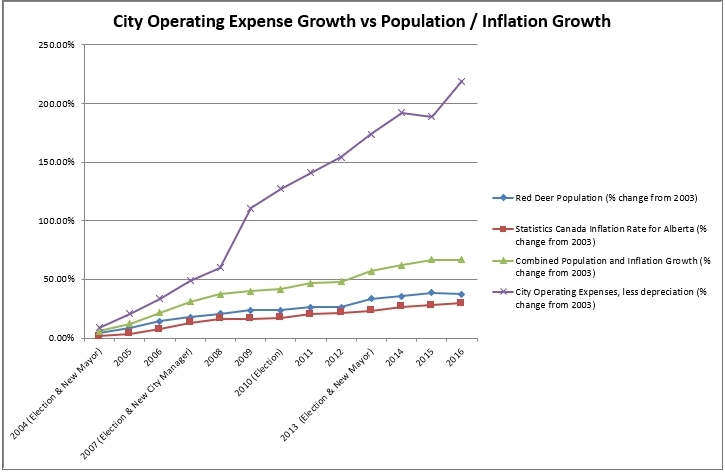 Therefore, combined growth in Red Deer’s inflation and population for 2003 to 2016 was about 66.84%. A voice for Red Deer city taxpayers.